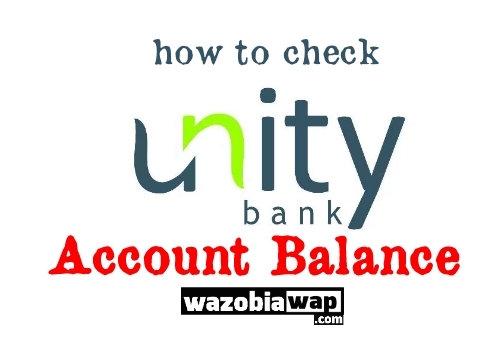 You might be looking for how to Check Unity bank account balance on phone, and that's why you are on this page now, this article will explain to you everything you need to know on how to check Unity Bank Account Balance on Phone without going to the bank. 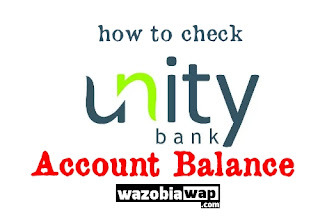 Unity bank has a USSD code for checking account balance without internet or data connection. With this Unity Bank account balance USSD code, you can check and view your account balance through your phone without going to the bank or ATM and que in the line. The below information will explain to you how to check your Unity bank account balance with USSD code. If you want to check Unity Bank account balance with USSD code, navigate to phone’s dialer, then dial *389*215# and follow the next screen prompt. NOTE: You must use the SIM or the phone number you registered with Unity bank that is linked to your bank account for a successful transaction. This is all you need to know on how to check your Unity Bank account balance on phone, and don't forget to share your experience with us.